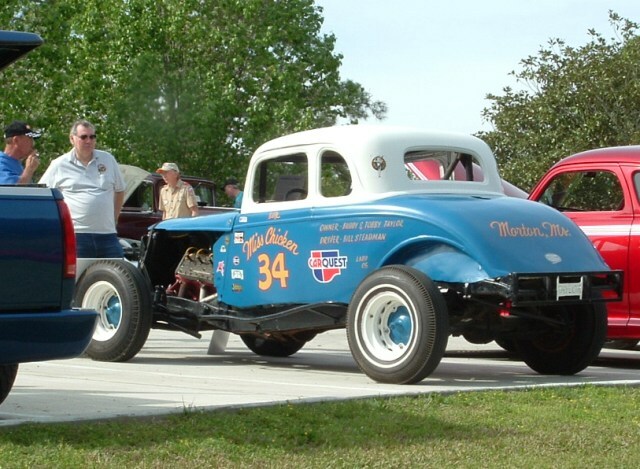 This was Buddy Taylor's 2nd race car. He race this car for about a year before he built Miss Chicken. Robert Earl McCaughn told me that when he found this picture he was so excited. He hadn't seen it for years. He took the picture and showed it to everyone. One night his wife was looking at it and said, "I don't think you have a shirt on in this picture". Robert was so supprised, he never noticed that he was in the car.